•	Bay State Cruises (200 Seaport Blvd. ): You don’t have to walk far to hop aboard! Bay State Cruises, conveniently sailing from the World Trade Center across the street from the hotel, features summer music cruises around Boston Harbor as well as a Provincetown fast ferry. You can enjoy a Planter’s Punch on the tip of Cape Cod in 90 minutes! For tickets and times, please see the concierge. 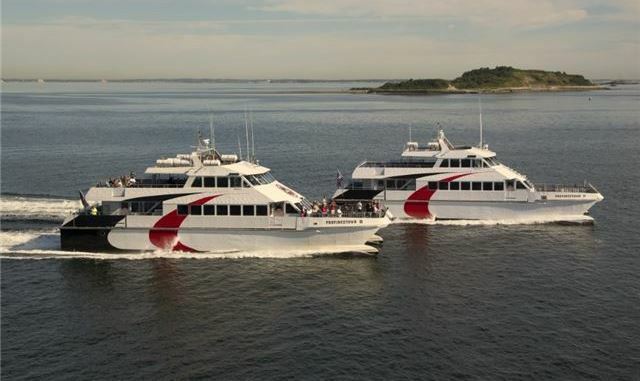 •	Boston Harbor Cruises (1 Long Wharf): Be it whale watches, Harbor Island excursions, Codzilla, or Ptown in a flash, Boston Harbor Cruises has it all. Hop on one of the many vessels in the BHC fleet, and the water is your oyster. Now catered by famed chef Barbara Lynch, BHC ships offer a gourmet pairing to your day at sea. For tickets and more information, please see the concierge. Photo courtesy of Bay State Cruises.